While chemical resistance is key, it’s important your labels will not smear or smudge, compromising quality processes. Additionally, the labels must resist abrasion and tearing. ImageTek Labels has the capability to customize your label with various barcode symbologies, alphanumeric or sequential numbering, custom color logo’s or other types of personalized formats. Our chemical resistant labels are available in a variety in material. Our professional sales staff can pair you with the proper media to ensure you’re using a label that will survive the life cycle of your project. Most often materials are tested in extreme chemical applications but failure normally results in the adhesive. ImageTek Labels offers various adhesives, all of which perform differently under extreme conditions. We urge our customers to test our labels for resistance in specific conditions and environments where the label will be used. 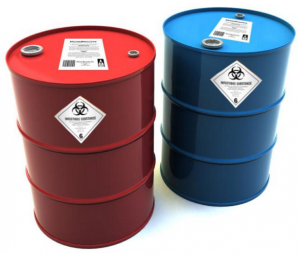 Chemicals can cause a range of reactions within the solvents used to manufacture adhesives. These reactions can cause breakdown or failure if not tested thoroughly. Our staff is more than happy to review your project in details and offer solutions based on the information you provide that will ensure you’re testing the right material the first time and securing the success of the project in the future.